DBTY! 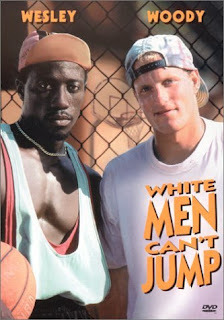 : White men can't jump. I have this friend who I hold highly on the subject Music. He's not a professional musician or anything like that. Dudes actually in a totally other line of work, graphics some might say(thanks kanye for helping me putting that slapper cover together). Never the less the man been given a fine musical ear. From time to time my friend puts some "real" music in my headphones, stuff like John Mayer, Chris Cornell, Duncan Sheik. Always to get the same bored expression of my face. I go on about how it's the same sing and song writer with a guitar, doing the same thing we heard thousands of times, its not necessary bad, just not giving me that goose bump feelin Shoré mention. A while back, I'm at my parents house (it contains a TV, how '90 isn't that) flipping through the channels, when I see this awesome music video, Morning Yearning by Ben Harper. To my surprise, I'm really enjoying what I'm hearing. I couldn't wait to tell my friend of my new discovery. How I for once might found something that surely fit his music taste too. Was I in for a surprise when he told me that he been playing Ben Haper over and over again, in hope of convert me. Actually he'd been playing that very song not too long ago. Confused about this event, I've recently been analyzing how I came to like this track. What's the difference between Ben Harper and lets say, John Mayer or Chris Cornell? And why didn't I like Ben Harper until i saw the video? And it all got so clear. I'm not sure why I have this infatuation with African American musicians, but if you check my record collections, it definitely confirms it. On that note, let get back to the program. Here's an exception I manage to find in my record collection, Scottie B (aka Scotty B). Go here to get more. Scotty @ Berns this friday, don't miss it! Wont u guys hurry over so we can start drinkin beeers!?!?!?! Thanx a million for teh songs V, u rox!